The Western Upper Peninsula Center for Science, Mathematics and Environmental Education is offering short courses for K-12 teachers this summer. The application deadline is June 2. Learn more about the courses and register online at http://www.wupcenter.mtu.edu . Apply for Michigan Tech credit athttp://www.mtu.edu/gradschool/admissions/apply/. A rented mini-van will be provided to transport Detroit teachers, plus one night’s lodging, to the Global and Great Lakes teacher institutes at Michigan Tech. The Forest Ecology Teacher Institute will be held June 23-27 on Belle Isle, near Detroit. The workshop is partially supported by the US Forest Service and the Michigan Forest Association. The $300 tuition includes five lunches, 2 graduate credits, instructional materials, field trips, overnight at Hawk Woods. Global Change Teacher Institute will be held July 7-11 at Michigan Technological University. The $250 fee includes five lunches, 2 Michigan Tech graduate credits and instructional materials. Cost is $400 to stay on campus, which includes meals and lodging. The workshop is partially supported by the National Science Foundation. The Great Lakes Watershed Investigations Teacher Institute will be held July 14-18 at Michigan Tech. The $295 fee includes five lunches, 2 MTU graduate credits and instructional materials; Cost is $495 to stay in on-campus lodging. Cost is reduced due to generous support from a National Science Foundation grant. Geology & Mineral Resources of Michigan’s Upper Peninsula will be held July 21-25. The $300 fee includes 2 graduate credits, 5 lunches, one night’s lodging (double occupancy) and meals, all field trips and classroom supplies. Cost including on-campus lodging is $450. Ecology of Isle Royale for Educators on Isle Royale will be held Aug. 1-9. The cost is $1,200. For more information, contact Lori Witting lori@mtu.edu or 906-487-2263. PhD student Maryam Fakhr Hosseini and MS student Steven Landry, both in the Applied Cognitive Science and Human Factors graduate program, have been selected as ICAD 2014 ThinkTank Scholars. They will present their research at a special pre-ICAD 2014 ThinkTank Symposium with leading scholars in the field of auditory display and sonification. The students will receive generous travel support for the conference from the National Science Foundation. The ICAD ThinkTank will take place on June 21, 2014. 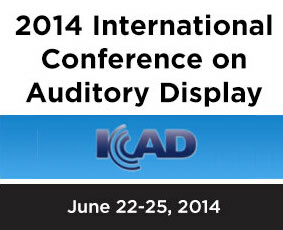 ICAD 2014 will take place June 22-25, 2014 at NYU in New York City. Assistant Professor Myounghoon “Philart” Jeon advises both students. Margo Woller-Carter, who is a PhD Student in Applied Cognitive Science and Human Factors, was just accepted to this year’s summer workshop at LearnLab. She will work with the Intelligent Tutoring Group in preparation for development of the “RiskLiteracy.org online intelligent tutor” that is the focus of her dissertation.